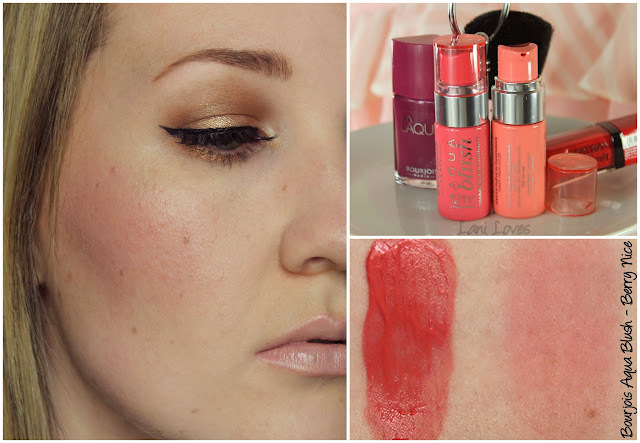 Bourjois New Releases - Mega Swatch & Review Post! 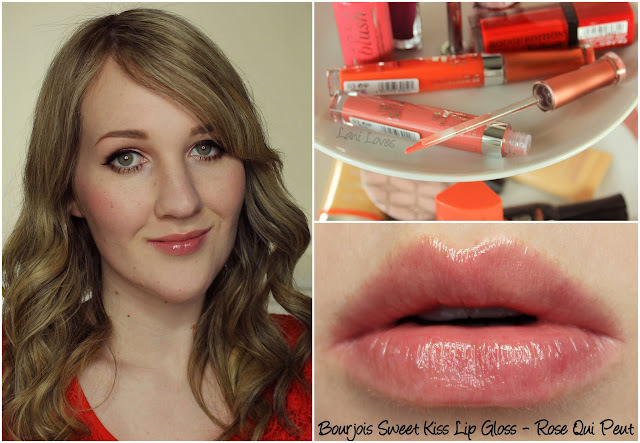 Cult Parisian brand Bourjois finally landed on our shores toward the end of 2015, bringing a veritable candy store of gorgeous products. I was fortunate to be sent a generous selection from across the range to try out, so I have some snapshot reviews for you today. If there's anything you'd like a full review for, please let me know! 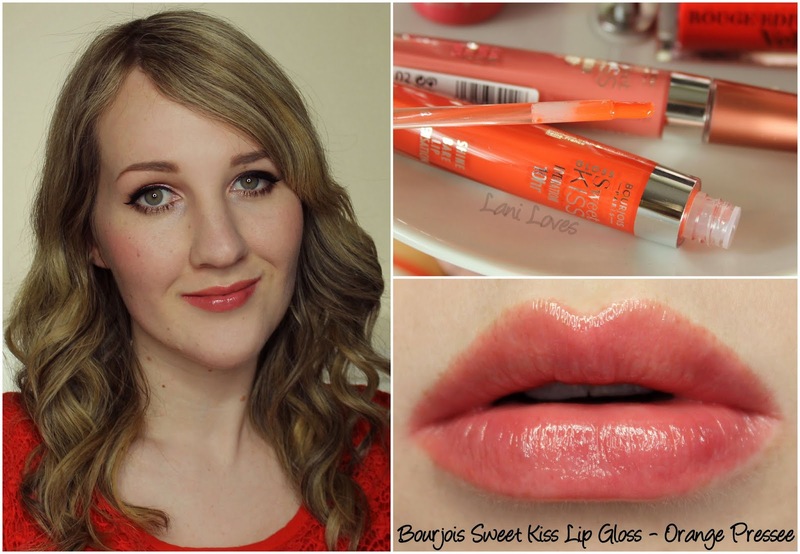 First up we have the Sweet Kiss Gloss (RRP $27NZD), a non sticky and hydrating formula which launched in November. 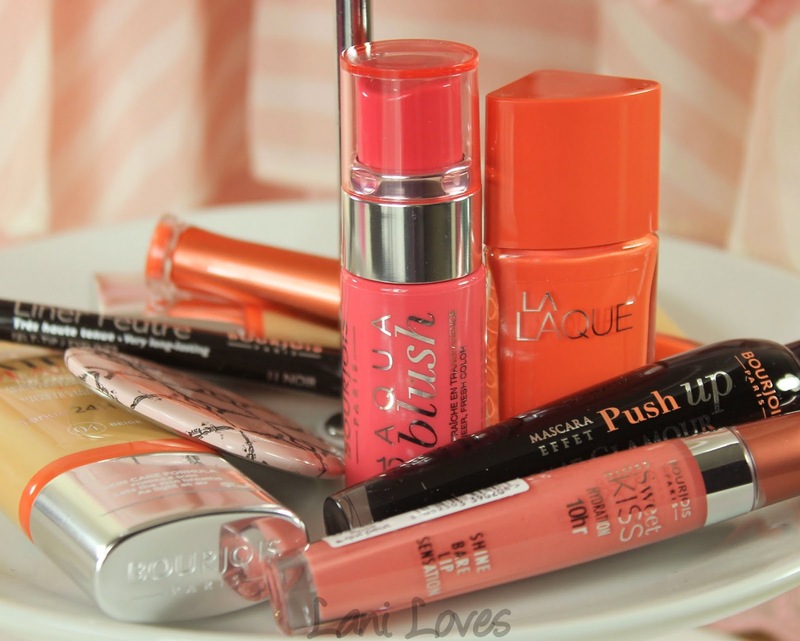 It's available in six shades - pictured are Rose Qui Peut and Orange Pressee (my favourite!). The colour pay off is sheer and even and they have a sweet and slightly fruity perfume scent. 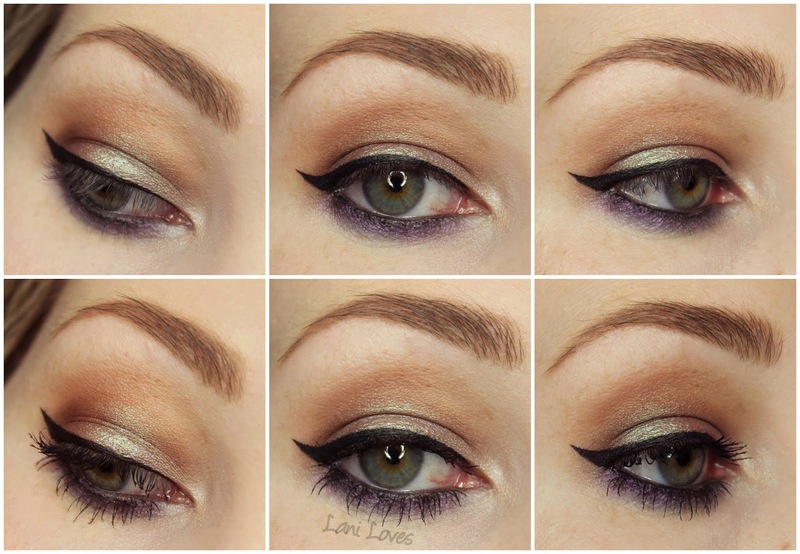 These feel super nice going on and the brush applicator makes it really easy to be precise. Expect about two hours wear from these. 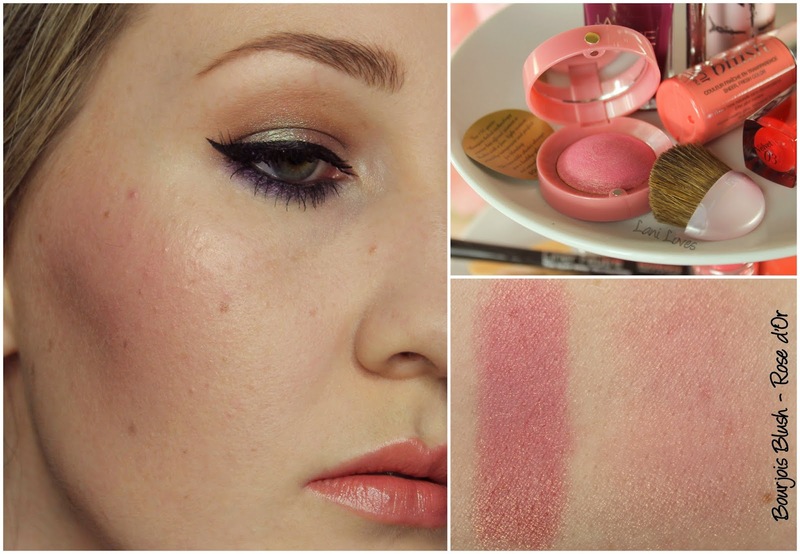 I've lusted after Bourjois' blush and eyeshadow pots for years so I'm super excited to finally be able to browse the range in person! 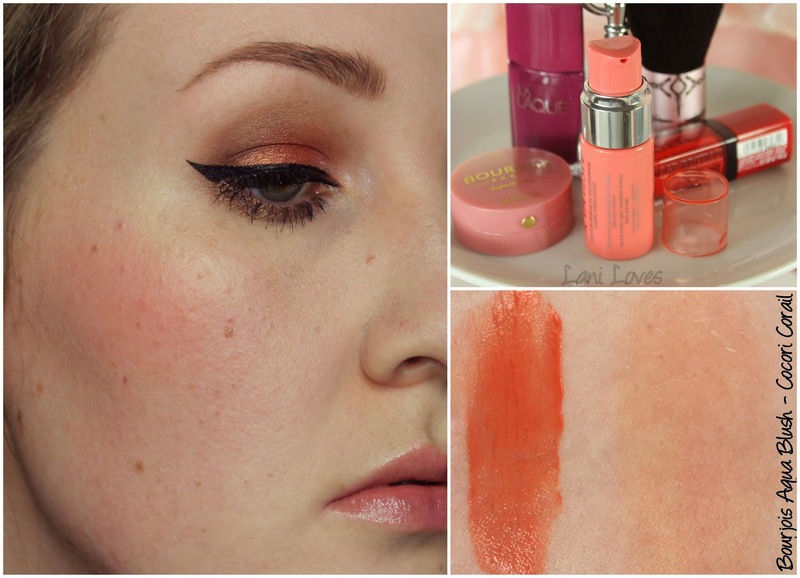 Here I'm wearing the shade Rose d'Or, a gorgeous rose pink filled with heavy gold shimmer. It has beautiful, even colour pay off and can be built up and sheered out readily for a natural flush. Decent lasting power, too - over eight hours. Bourjois blushes do have a strong perfume scent which may be a turn off to some, but personally I love it, it adds to the vintage glamour vibe for me. These Aqua Blushes (RRP $28NZD) are among Bourjois' newest products, launching last November with the Swimming Cool Collection. They're unique gel stains which are supposed to offer twelve hour wear and they feel refreshingly cool on the skin. If you're a fan of a dewy, natural look, you'll definitely want to check these out! The two shades I have, Cocori Corail and Berry Nice are very pigmented, yet they can be sheered out very easily and they blend like a dream, lasting around ten hours on my combination normal/oily skin. I'm sure the Rouge Edition Velvet lipstick needs no introduction as this range has been wildly popular since its launch! 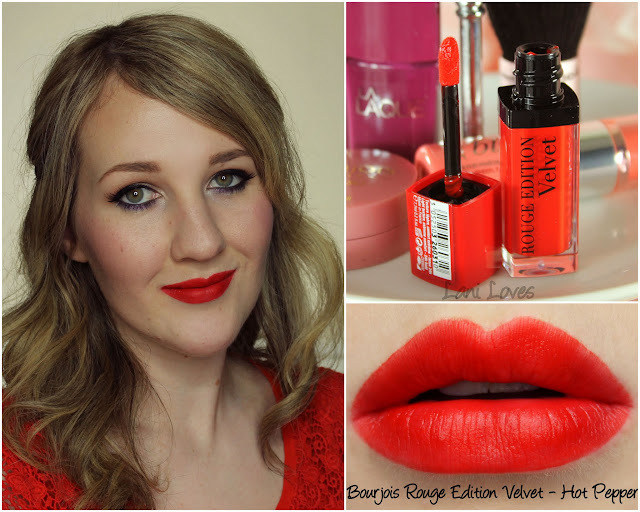 I have the shade Hot Pepper which is a heart-stopping warm red similar to shades like MAC Lady Danger and Viva Glam Miley Cyrus - definitely one of my favourite colour families. Hot Pepper boasts great colour pay off and a respectable wear time of around five hours although it is slightly drying. I'm liking the scent, which brings to mind fresh orange and passionfruit juice on a hot day. Bourjois' 1001 Cils held the crown for favourite mascara in this beauty addict's world for quite some time (I believe I've polished off three or four tubes now and still have two back ups! 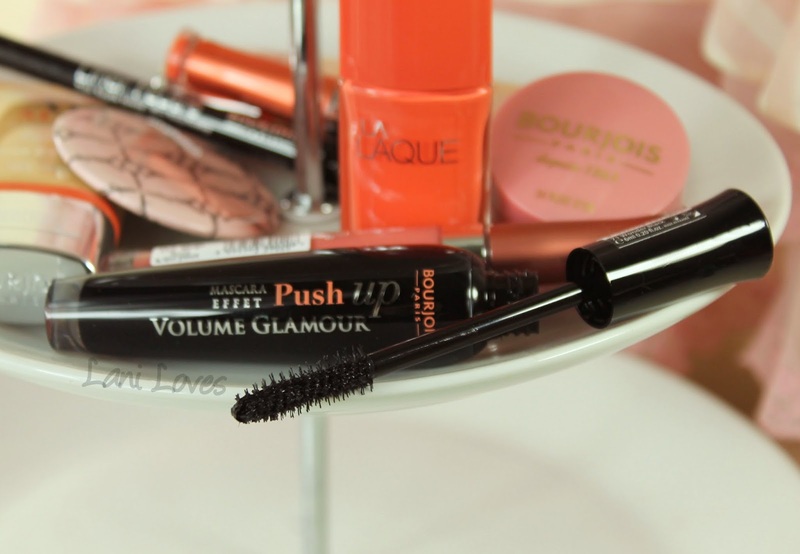 ), so I was eager to try Push Up Volume Glamour mascara and see how it held up. And I'm pretty happy with it! I notice a small amount of smuding under my eyes after around seven hours wear, but it gives my stubborn straight lashes a great amount of lift without clumping. What I particularly like is how the brush deposits a lot of colour at the base of the lashes so that there's no annoying gap between lash colour and liner, plus it makes them appear fuller. So not perfect, but pretty darn good! 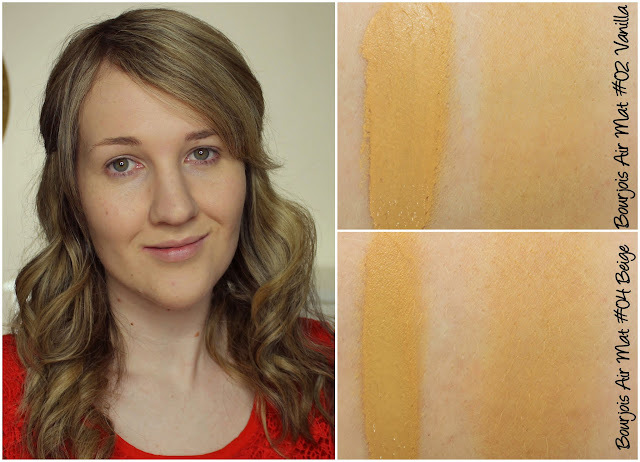 Unfortunately neither of the shades I received of Bourjois' new Air Mat foundation (RRP $33NZD), which launched in November, perfectly match me. I have #02 Vanilla (which I'm wearing in the full face picture) and #04 Beige and there are six shades in total, so I'll have to check out the lightest shade, #01 Rose Ivory, next time I'm at Farmers. 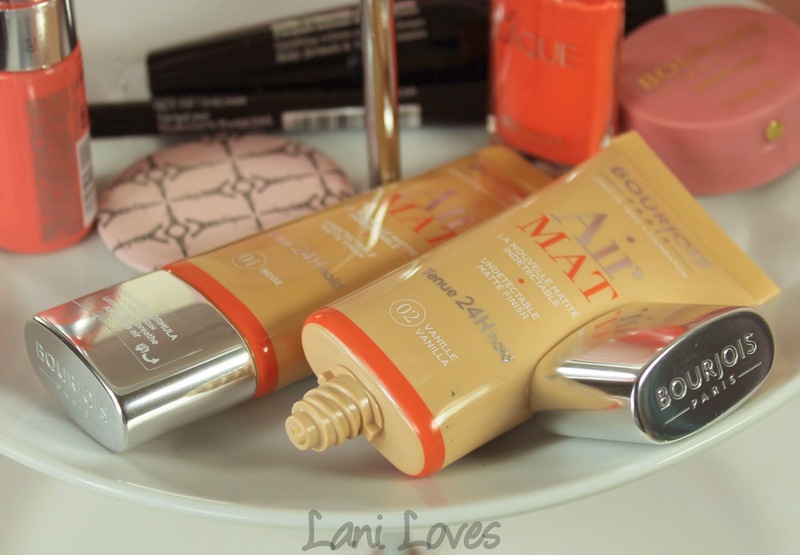 I still tested Air Mat for wear and I really liked it! It has good coverage and blends with skin very naturally, lasting for nine hours before showing any signs of wear. If you can find a shade match it's well worth checking out. 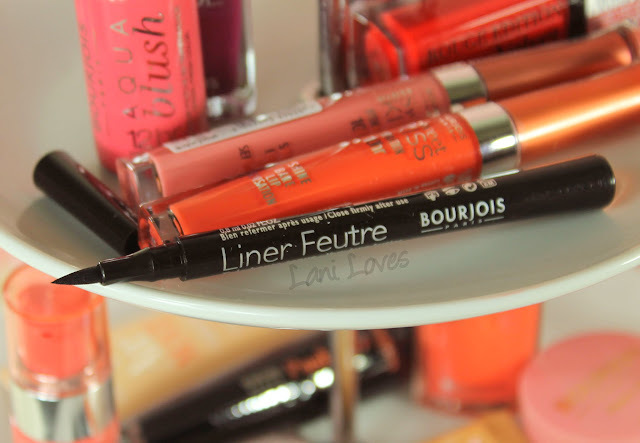 You guys know how much I love my liquid eyeliner and Bourjois' Liner Feutre has winged its way into my makeup bag with its excellent opacity and handy felt tip format. I don't think I can ever go back to the old brush style liquid eyeliners, I'm way too hooked on the convenience and easy application that comes with felt tips! Wear time is really great, it holds up well on my horrendously oily eyelids without any creasing, fading or transfer over the course of the day. Finally we have the latest product to hit stands: the La Laque polish range has just been released this month, with six shades currently available. 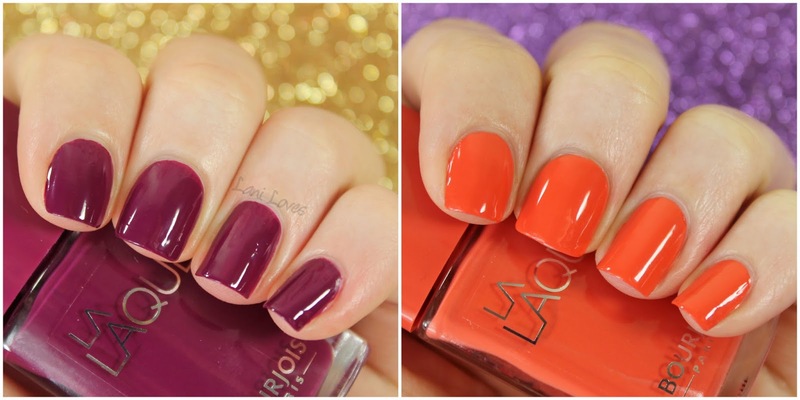 If you're a polish fan and love bold, glossy cremes definitely take a peek. They're quite long wearing too! They have a wide brush which will please those who like to paint in one quick stroke; personally, as a slow and careful nail painter I found it a bit cumbersome and difficult to get a neat nail line with - but it can be done. 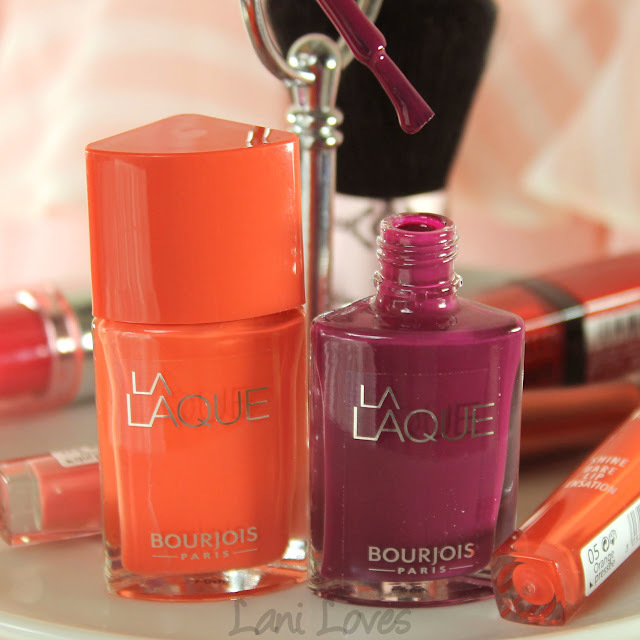 Pictured are Beach Violet (left) and Orange (right), three coats each without top coat..
Bourjois is now available in New Zealand at selected Farmers stores nationwide - you can find a list of stores here. You can also find a small range at Mighty Ape and international shoppers can check out their website or Amazon and Ebay . 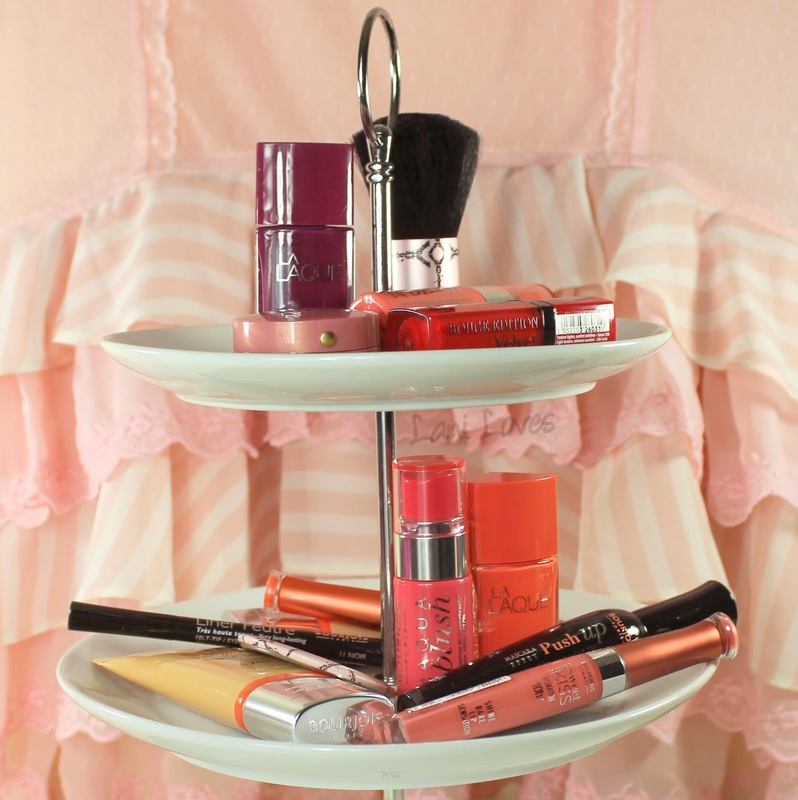 Anything tickle your fancy here? 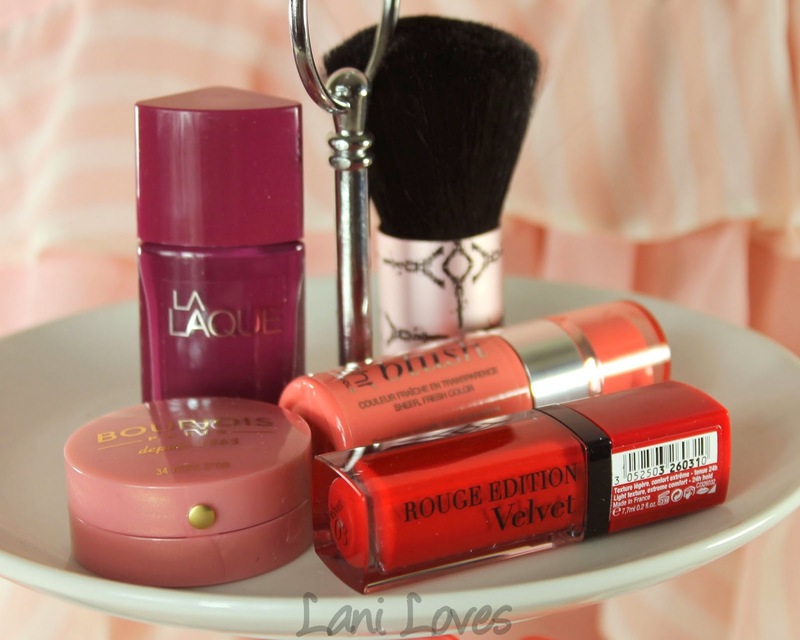 Don't forget to let me know what you'd like to see full reviews for!